Providing accurate & reliable services for 30+ years. 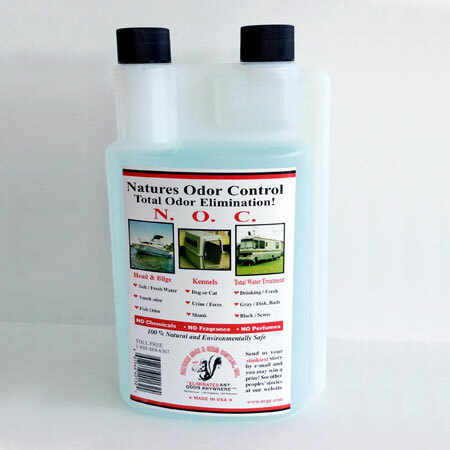 Natures Odor Control (N.O.C.™) is natures answer to odor control problems without the use of chemicals. Natures Odor Control (N.O.C.™) contains safe biological activators that supercharge healthy aerobic bacteria that are already present. The aerobic bacteria then multiply and consumes the odor-causing anaerobic bacteria, a natural process. 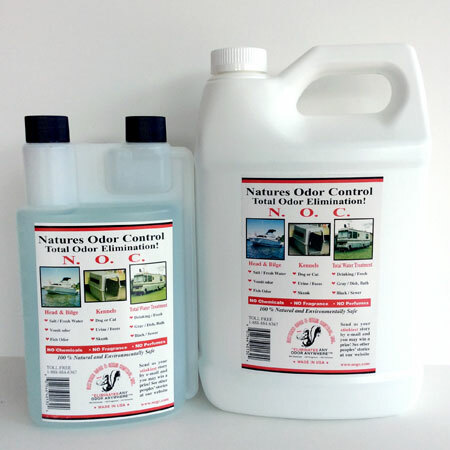 N.O.C.™ does not contain any live organisms or enzymes, therefore the shelf life of Natures Odor Control (N.O.C.™) is indefinite. Natures Odor Control (N.O.C.™) has an unlimited number of uses. Everything from odor control of the home, pet problems, control of waste odors in kennels, detoxifying farm soils contaminated with toxic chemicals, to microbial degradation of hydrocarbons and many more. USE N.O.C.™ IN R.V. Holding Tanks, Portal Potties: No formaldehyde, chemicals or staining dyes. The cause of these problems is simple: Unstable mixtures of manure, urine, feed, medicines, and hay suffocate natural biological activities in the pit. The wastes become hard or compacted. Or in pits with a high liquid content, the lack of healthy bacteria can cause constant, pungent odors. These odors including ammonia and other gases can cause health problems for workers as well as the livestock. 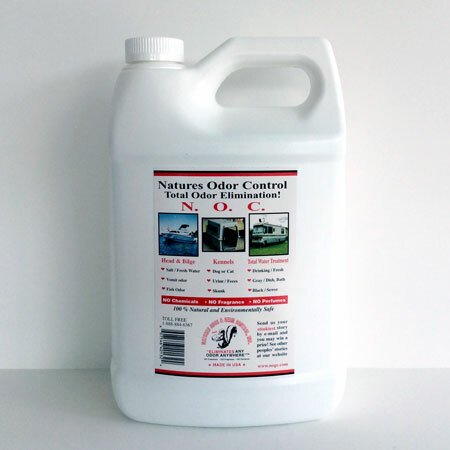 Unlike other products, N.O.C.™ does not contain living organisms that can be destroyed in a manures caustic environment. N.O.C.™ activates healthy organisms and bacteria that are already in the manure. The bacteria rapidly multiply into billions of bacteria that are required to break down solids. 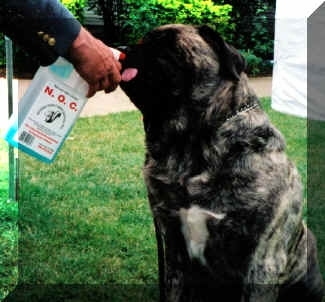 N.O.C.™ changes the digestive process from anaerobic to aerobic, which quickly reduces the offensive odors. Natures Odor Control (N.O.C.™) is recommended for hog, dairy, and beef operations. N.O.C.™ can be used in semi-solid or liquid storage facilities, including slatted floor systems, concrete or metal above ground tanks, and all types of belowground systems. Skunk odor on the animal: Wet animal thoroughly, then apply N.O.C.™ undiluted and work into the coat and leave for an hour. Bathe the animal with additional N.O.C.™ and Pet Powder in the water. Dry and mist the animal with a fine mist of product and let dry naturally, be sure to use in mouth and ears. If any odor remains you may want to apply Pet Powder to face, muzzle, and coat.Skunk odor under buildings: Application rate about 1 gallon to 500 square feet. Dog run and kennels: Mix 1 part N.O.C.™ with 8 parts warm water. Spray the area that is producing the odors. Repeat application weekly. Once odors are controlled N.O.C.™ can be mixed up to 1 part N.O.C.™ with 15 parts warm water, depending on the intensity of odors. 1 pint of N.O.C.™ mixed with 1 gallon of warm water will treat approximately 1,000square feet (20’ x 50’ area). N.O.C.™ can be used on concrete, gravel, dirt and grass areas, will not harm grass or shrubs. Contained animal houses (chicken, pigs, etc. ): Mix 1 part N.O.C.™ with 5 parts warm water. Spray the area that is producing the odors. Apply diluted mixture at a rate of 1 gallon per 1,000 square feet (20’ x 50’ area) on first application. Repeat application weekly. Once odors are controlled N.O.C.™ can be mixed up to 1 part N.O.C.™ with 8 parts warm water depending on the intensity of odors and other related problems. *R.V. – Total water treatment: Fresh / Drinking -1/2 oz. in 30 gallons- gets rid of bad tasting water, or chemical taste out of plastic. •Gray / Dish, Bath – 1oz. in 40 gallons – Just to keep odor free. We Recommend this method: Clean tank out by rinsing several times with plain water.Fill one toilet bowl and add 1 oz. of N.O.C.™ then flush. You can always add more N.O.C.™ if you don’t plan to dump right away. Portable potties portable johns: Add 4 ounces N.O.C.™ per 50 gallons of capacity each week. Marine bilges: Add 1-gallon N.O.C.™ per 1,000 gallons of bilge as needed. Used for manure pits & septic tanks. “Seeds” pits and tanks that are low in biological activity due to disinfectants, antibiotics and other bacteria-inhibiting compounds. Mix ½ lb. of ATZ-5 in 1 gallon of warm water for two minutes. Pour into commode and sinks, flush or rinse repeatedly to wash ATZ-5 into the system. Add NOC at the recommended rate. For each 1,000 sq.ft. of surface area, mix ½ lb. of ATZ-5 in at least 5 gallons of warm water for two minutes. Pour uniformly over pit surface. Add NOC at the recommended rate. Septic Systems: Regular use helps produce digestive organisms that liquefy grease and waste solids. Odors are drastically reduced or eliminated. For best results, use as a pretreatment to using NOC. 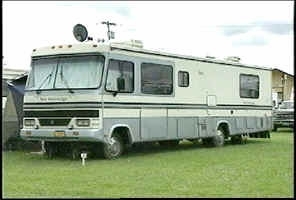 Septic Systems: Flush 1 quart of N.O.C. into any drain leading to the septic tank. Add 1 pint one week later. Then add 1 cup each month for preventative maintenance. CAUTION: Avoid direct contact with skin and direct inhalation of dust. In event of skin contact, wash with soap and water. Chlorine products may reduce the effectiveness of ATZ-5. Store ATZ- 5 in dry, sealed containers. Keep below 110° F and above 32° F.
Manure Pits and waste lagoons: Problems such as foul odors, heavy crusting, or settling solids, can make agitating and pumping an expensive, time-consuming process. In many cases, the solids are so thick that the equipment is overworked, or sizeable quantities of manure are never retrieved. Natures Odor Control™ 32 oz. Case Natures Odor Control ™ 32 oz.